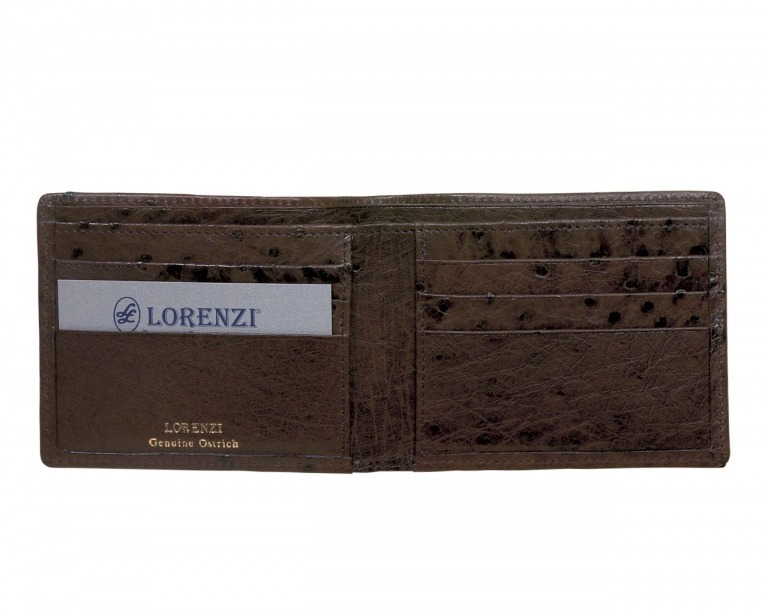 Lorenzi Ostrich Leg Card Holder has a most unique scale appearance and will be the perfect gift for any occasion. 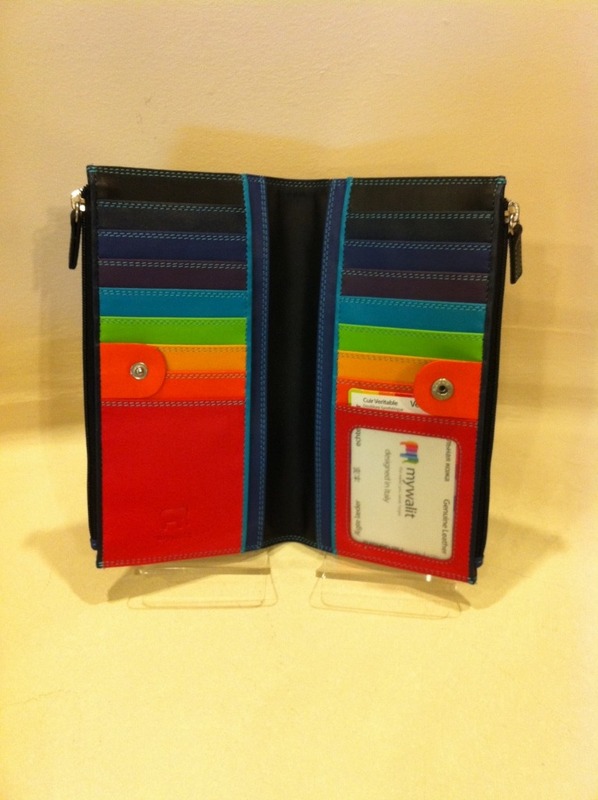 Consider the matching billfold as well! 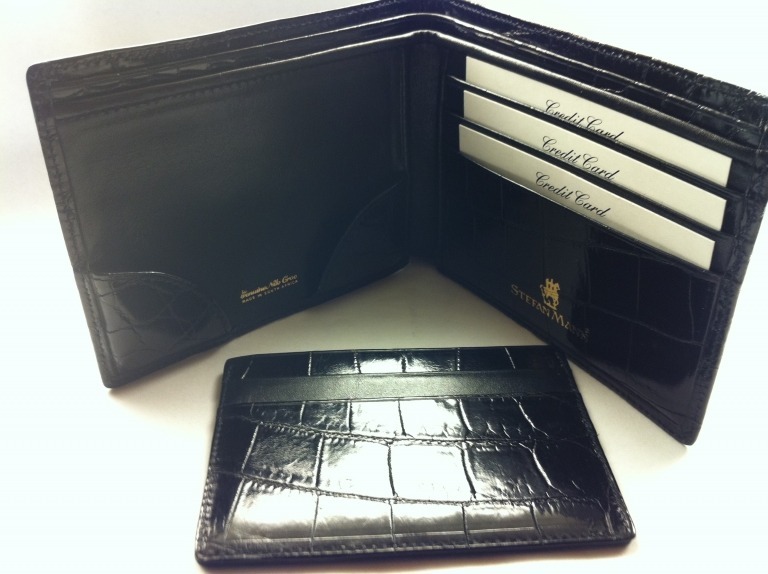 Lorenzi Ostrich Leg Card Case flaps open horizontally with the ID window above, and the two pockets for card below. The pocket behind is gusseted .75 inch for carrying a lot of cards. 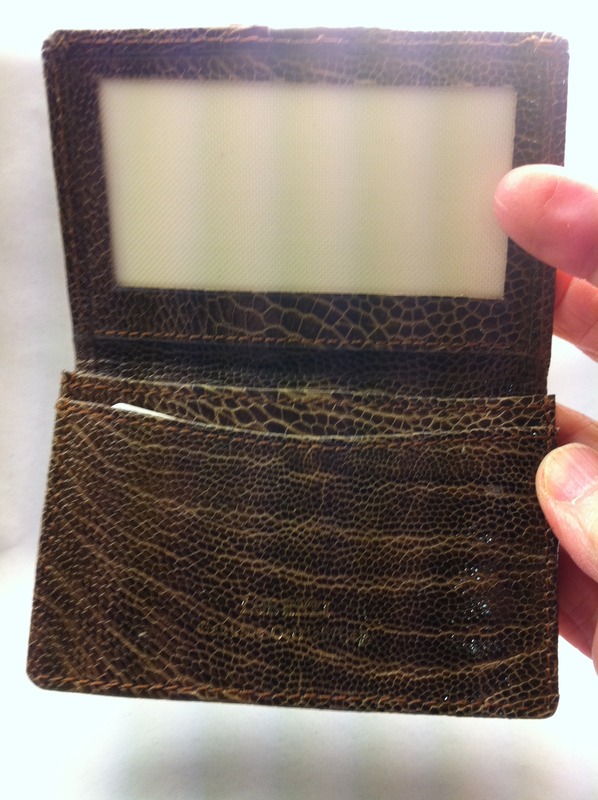 The card case is featured closed.